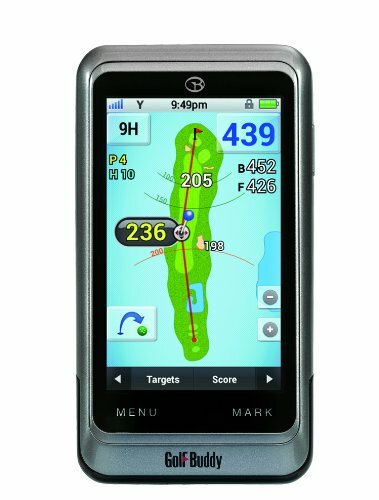 Features -4" capacitive LCD with higher resolution -Over 37,000 world courses and hazards preloaded -No membership or download fees -Distances to any point on the course -Target information -Pin Placement module -Dynamic Green View -Score tracking module -Statistic analysis module -Automatic course and hole recognition -10 hour battery life -Customizable targets -Water resistant. A frozen display/system can be solved by removing the battery from the unit (remove the back cover and remove and re-insert the battery). The unit will reboot after the power button is pressed.A frozen display/system can be solved by removing the battery from the unit (remove the back cover and remove and re-insert the battery). The unit will reboot after the power button is pressed. To prevent this problem to reappear, we recommend to do a firmware upgrade of the unit (current version is 1.9.6). Units with firmware versions below 1.9 showed above described problem.